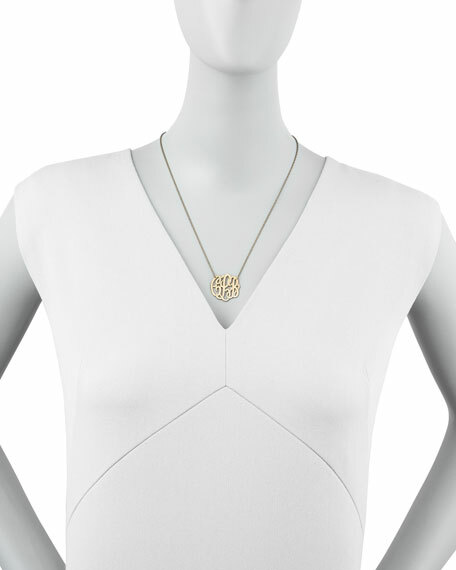 This Moon and Lola necklace spells out your initials, perfect for becoming your signature piece. 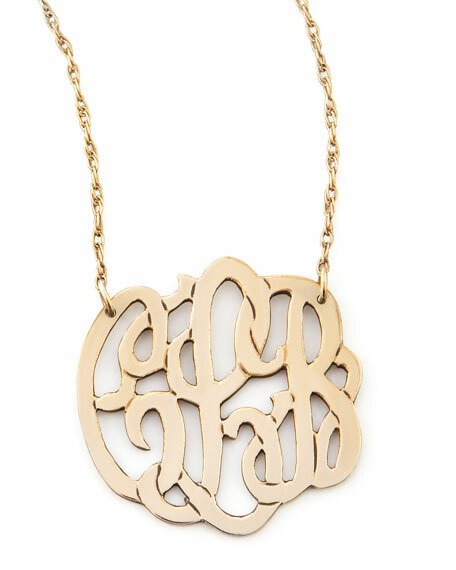 Pendant with three script initials of your choosing; listed first, last, middle. 16"L with 3" chain extender. Pharmacist-turned-jewelry designer Kelly Shatat launched Moon & Lola after she perfected the alchemy of expressive, elegant jewelry. Based in North Carolina, each Moon & Lola piece embodies sweet Southern charm. Prim, preppy, and personal, Moon & Lola earrings, rings, necklaces, and bracelets come in a variety of mixed metals and colorful acrylics.